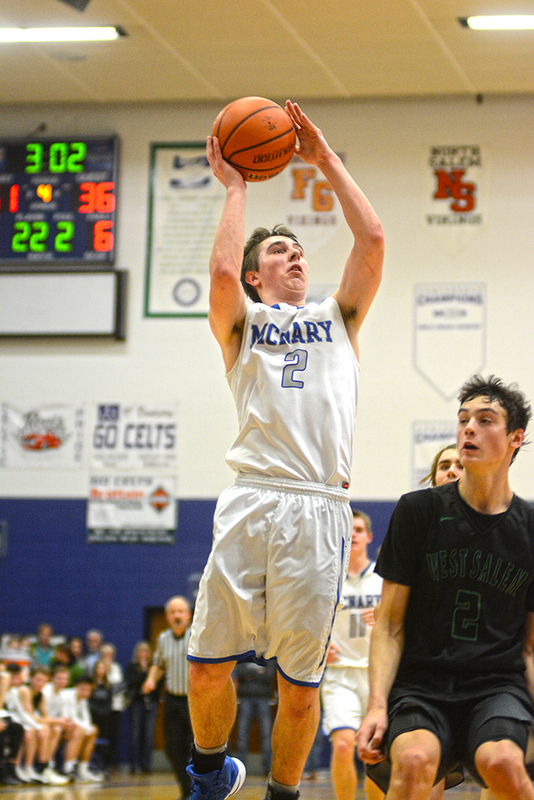 Earning Greater Valley Conference Defensive Player of the Year was easier for Matthew Ismay in his senior season at McNary, and not because he had already won the award twice. An emphasis on defense is exactly what McNary head coach Ryan Kirch needed when he started turning around the team four years ago. Ismay consistently guarded the other team’s best player. Along with winning his third straight Defensive Player of the Year award, Ismay was also voted First Team all-league. He led the Celtics in points (13.6), rebounds (5.08) and assists (4.92) per game. McNary senior Sydney Hunter made the girls First Team. Junior Kailey Doutt was voted to the Second Team. McNary seniors Adam Harvey and Cade Goff were selected to the boys Second Team. Alex Martin, Chandler Cavell, Easton Neitzel and Lucas Garvey were all voted GVC Honorable Mention. Lady Celts Abigail Hawley, Paige Downer and Jaylene Montano were also honorable mention.